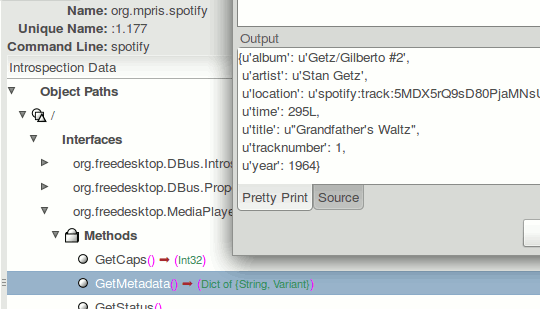 The latest version of the spotify client for linux (0.4.8) has added partial mpris support. 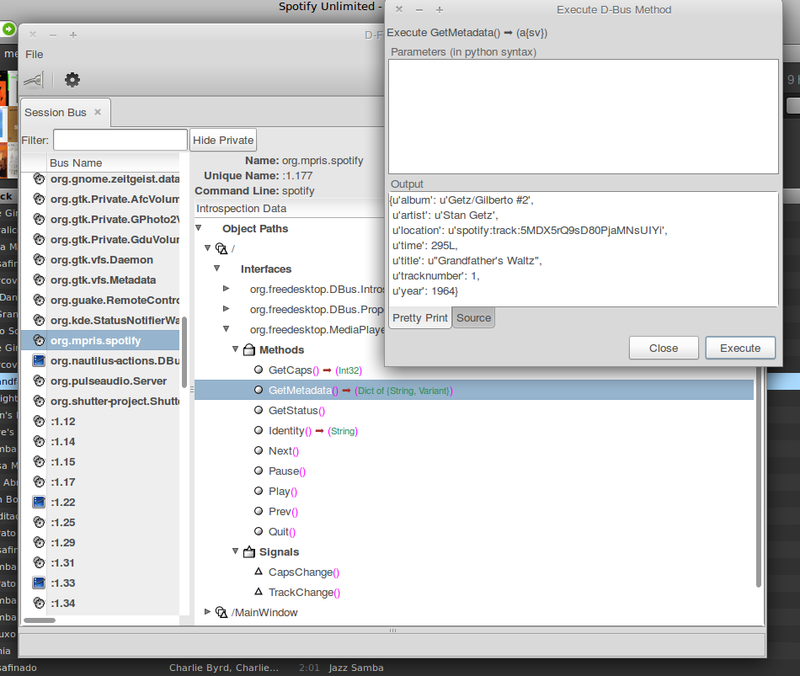 This is great as it means controlling spotify via D-bus is far easier than the previous hacks using wmctrl and xvkbd. 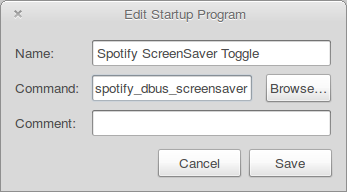 I've updated the screensaver toggle script to use spotify's D-bus interface to play/pause spotify. This also means that I've been able to de-couple the script from having to run the screensaver which a big improvement on the old version. To run it just add the script to your start-up items. Here's the code, which is a lot more concise compared to the previous version. * Add the script to your start-up items. """This pauses and plays spotify when the screensaver is activated"""
"""Listen to screensaver ActiveChanged events from dbus.""" # Ignore exception caused by spotify not being started. To take that example further here's a demo that listens to the TrackChangedPropertiesChanged event. 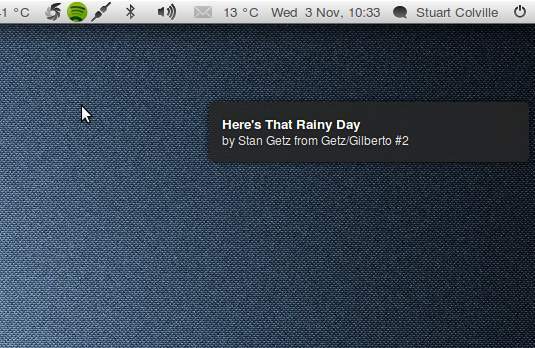 It uses the notification id so we can replace the notification details as you move through the tracks. This avoids waiting for the timeout before displaying the current track information. Note this notification demo assumes spotify is running to set-up the listener, so it's not something you can just set running at start-up unless you use it to wrap the start-up of spotify. Both scripts are BSD licensed so feel free to use and adapt to your own purposes.